You would not believe the number of people that take one look at Carter and say "he looks just like Ralphie from A Christmas Story." I do see the resemblance, I mean they both have the blonde hair, blue eyes, and chubby cheek thing going on... but I want to hear what you think! He most certainly looks like Ralphie! 110%! Hey, Ralphie Jr... I hope you don't shoot my eye out! 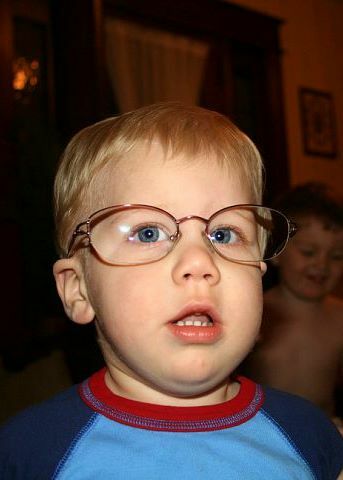 After nearly 200 votes, 80% of you said that Carter looks a lot like Ralphie, while 19% said he "kinda" looks like him!